Review Muvi – Earn Rewards! The Muvi Review & Rewards Program invites reviewers, bloggers, YouTubers, Tech enthusiasts and journalists to review Muvi’s End-to-End OTT Platform offering and publish their review on it on their blog/website or YouTube channel and in return earn rewards for their efforts! 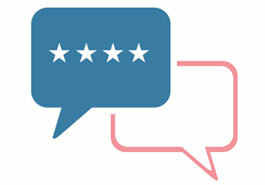 We invite and encourage reviewers to write unbiased reviews and opinions about their experience in using Muvi’s SaaS platform that helps content owners to launch a Multi-Screen Video or Audio streaming service across Web, Mobile and TV, and share their feedback with their followers! 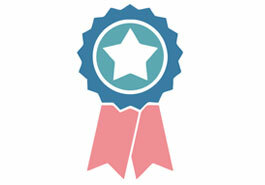 Reviewers will be rewarded with a compensation towards the acknowledgement of their efforts. Rewards - $100 for accepted reviews and $500* from each sale we get from your review. To get started, please email your profile to marketing@muvi.com if you are interested. Muvi is the world's only Multi-Screen Video, Audio & Physical Content & Goods Monetization Platform. Muvi offers a Fully managed, Enterprise Grade end-to-end SaaS-based service that requires no coding knowledge or dedicated IT teams to setup. Muvi includes everything required by a business to launch their OTT offering, from IT Infrastructure to Website and Apps for mobile & TV, along with multiple monetization options like – Subscriptions, Pay Per View, Ad-Supported and a PayWall setup to help in the monetization process. Muvi includes modules like Payment Gateway, Subscriber Management, Billing and Automated Invoicing, User Registration & Management, Reports & Analytics, Website & App Management, Marketing Module etc all in an integrated Dashboard and CMS to help you manage everything from a single location. Muvi is deployable in 1-Click, making it one of the fastest enterprise grade deployable OTT Platform in the world! 1) Email us on marketing@muvi.com with your interest to review Muvi, please share some links to your blogs and videos you have done in the past. 2) Signup for our 14-days Free trial at – www.muvi.com/signup & start exploring our platform by uploading videos, customizing your preview website. 3) Complete the setup by linking payment gateway and setting up monetization plans to finalise your preview website. 4) Once you complete your preview website, visit your website from a viewer's point-of-view and try to make a purchase and watch a video. Come back to the CMS, look at Analytics, Revenue and User reports. If you have any questions? Email us on marketing@muvi.com and we will revert back to you. 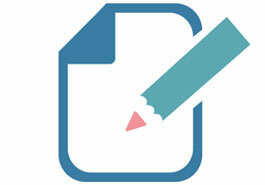 Start writing/recording your review and publish the same onto your blog/website/YouTube channel. Share the URL with us on marketing@muvi.com and Claim your rewards! Prior approval and go-ahead in email is necessary from Muvi’s Marketing team to be eligible for this program. The reviewer must be from the Tech/IT/Media & Entertainment Domain. The reviewer must have an existing website that is at least a year old, blog or a YouTube Channel. Muvi provides its reviewers with rewards as an appreciation for the time they have taken to explore Muvi’s Free Trial , write the review and share their feedback (positive or negative) with Muvi. These reviews help Muvi make improvements in its SaaS platform.To be eligible for 15% commission on monthly sales, the reviewer must contact Muvi on marketing@muvi.com and request for special referral URLs that allow Muvi to track and give reference to reviewers. Share your website/blog details with Muvi. Reviewer must share details of visitors, followers, page views and subscribers of his/her website/blog or YouTube channel with Muvi to be eligible for the program. Reviewer must link back to Muvi’s home page and other relevant pages from the blog/article or video description. Reviewer must agree and confirm to not delete or edit the article/blog/video in any way after it has been published and reviewed by Muvi’s team in any way, without giving prior notice and reason via email to Muvi on marketing@muvi.com about the same. $500 per customer reward is only given to reviewers when the customer has stayed on Muvi's Platform for 6 months continuously, without defaulting, cancelling or defaulting on payments. Muvi reserves the right to modify, change or terminate the terms of this program or the program in it’s entirety whole at any point without giving any prior notice. Please email to marketing@muvi.com with your profile if you are interested.